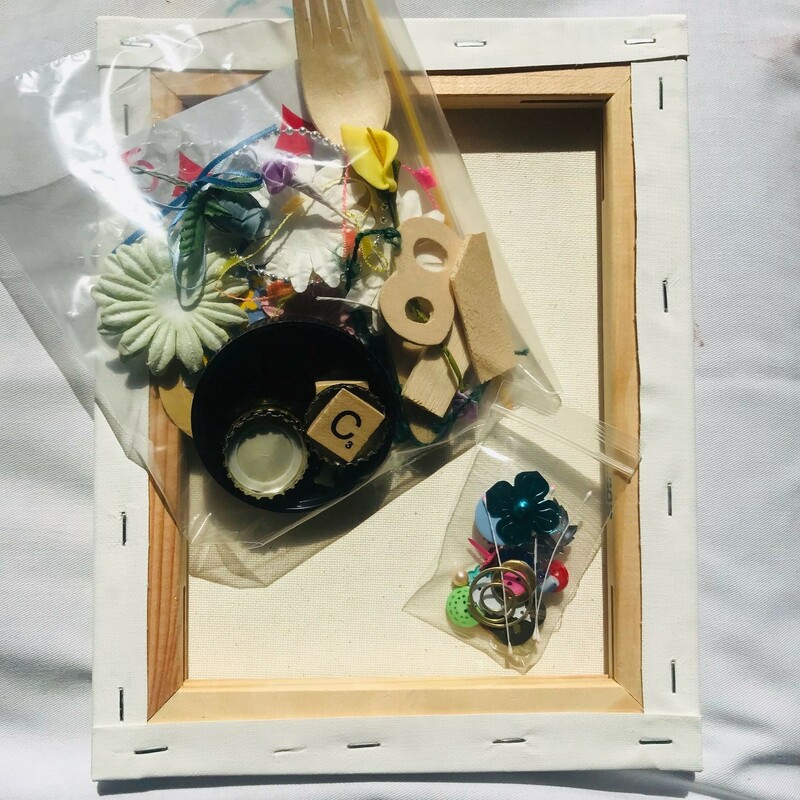 I've accumulated quite the collection of bits and bobs perfect for canvases. I thought you could never have too many canvases but unfortunately my craft room disagrees. So, I've dug into my stash and created up a few kits with items that are a must have on every canvas. Each kit comes with an 8x10" canvas. Just bring your own gesso, glue and colour sprays and you're set to make something beautiful!